This exclusive one day event will happen in Bishop, in the Eastern Sierra region of California....close to the middle of the state along the eastern border of Nevada, and halfway between Death Valley and Yosemite National Parks. This gorgeous USA city is not only one of California's treasures, but is the home to several Timber Block Engineered Homes. 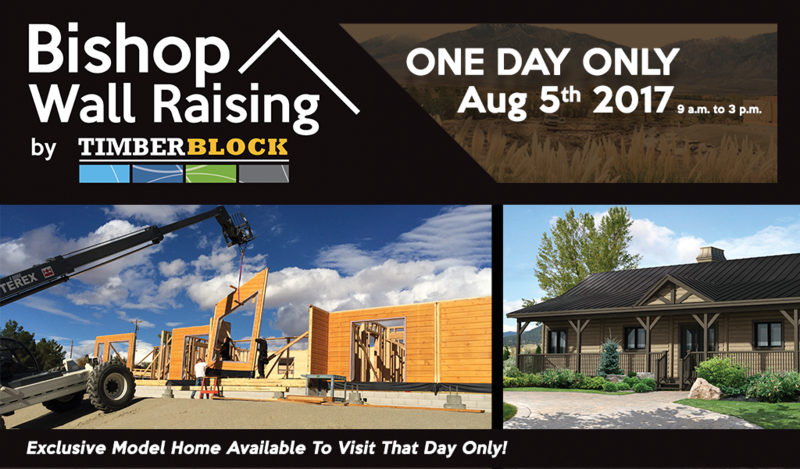 We are proud to take experts on our team to a one-day event: Saturday, August 5; an event you absolutely can not miss if you are thinking about builder a home now - or later. 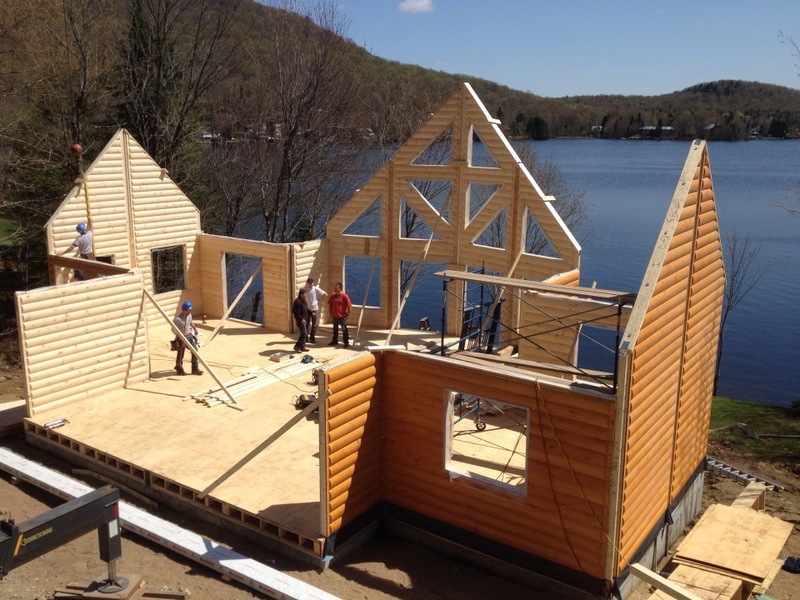 Starting at 9 am, you can witness the walls of a Timber Block custom home go up in hours. If this is something you haven't had the opportunity to see, this is your chance. You will literally be watching a dream turn into a reality. 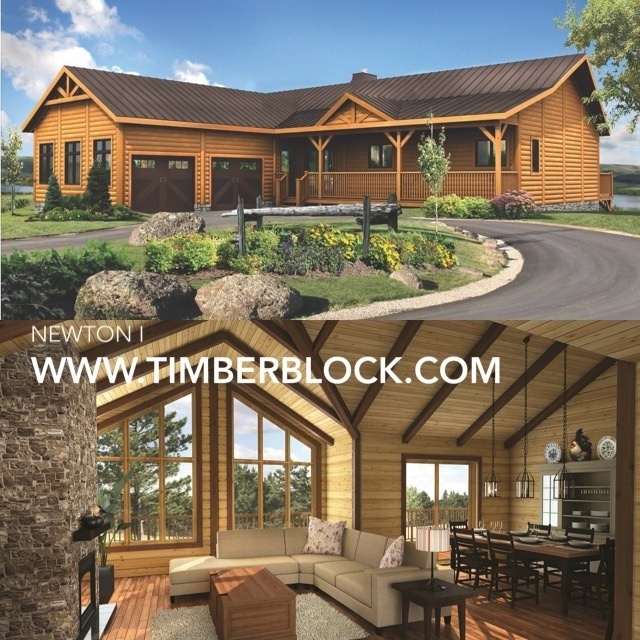 Timber Block's R-30/R-36 patented technology results in some of the highest quality of engineered wood homes across the country, and this is a chance to see just what revolutionary building looks like in real life. RSVP is mandatory. Scroll down to confirm your attendance. Following the wall raising, we are inviting you to join us for a unique opportunity to see a completed Newton I model. Spend time in the home. Take a good, close-up look at the quality of construction. Talk with our experts! We will have a technician on site, along with one of our Project Managers, Home Consultants and partner builder. In addition, a Timber Block Home Consultant will be available for you to talk to in person, with an invite for a one-on-one meeting the following day, if necessary. Our wall raising event will be held in Bishop, from 9 am to 3 pm. We invite anyone interested in learning more about building a home, along with those in the building industry, including builders, general contractors, developers and more. Timber Block is dedicated to not only providing the highest quality home, but the utmost customer service. Our state of the art, patented technology is environmentally responsible, energy efficient, and cost effective. We have dozens of model homes in 4 different series our homeowners can build from, but are proud to be able to customize any home, or build straight from the homeowner's own ideas. Timber Block Engineered Homes has several locations in the USA and Canada, and beyond, along with hundreds of homes all over the world.